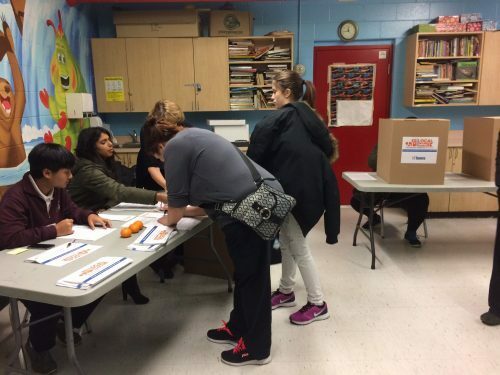 Participatory Budgeting (PB) is a specific type of engagement process where city residents propose and vote on community investment projects, funded through a pre-determined portion of the municipal budget. 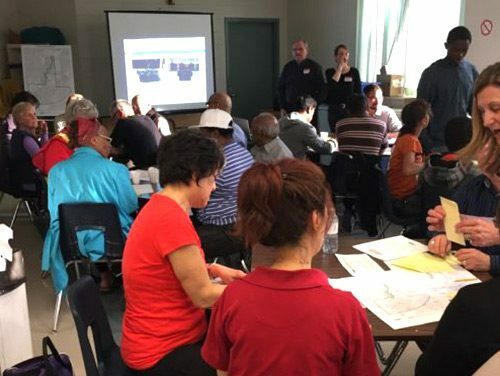 Toronto is evaluating its three-year Participatory Budgeting (PB) pilot in three areas of Toronto: Ward 33, and the two neighbourhoods of Oakridge (Ward 35) and Rustic (Ward 12). The pilot will help City Council decide what PB and other types of civic engagement in Toronto might look like in the future. 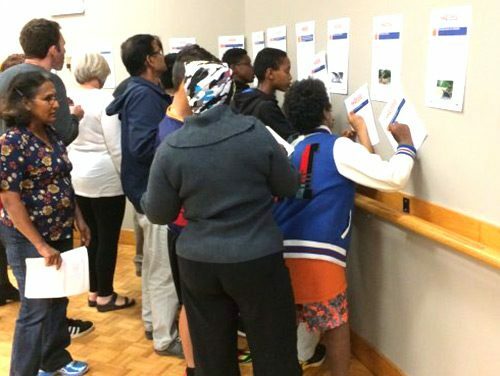 The PB pilot invited residents to propose and vote on capital projects to improve their neighbourhoods. 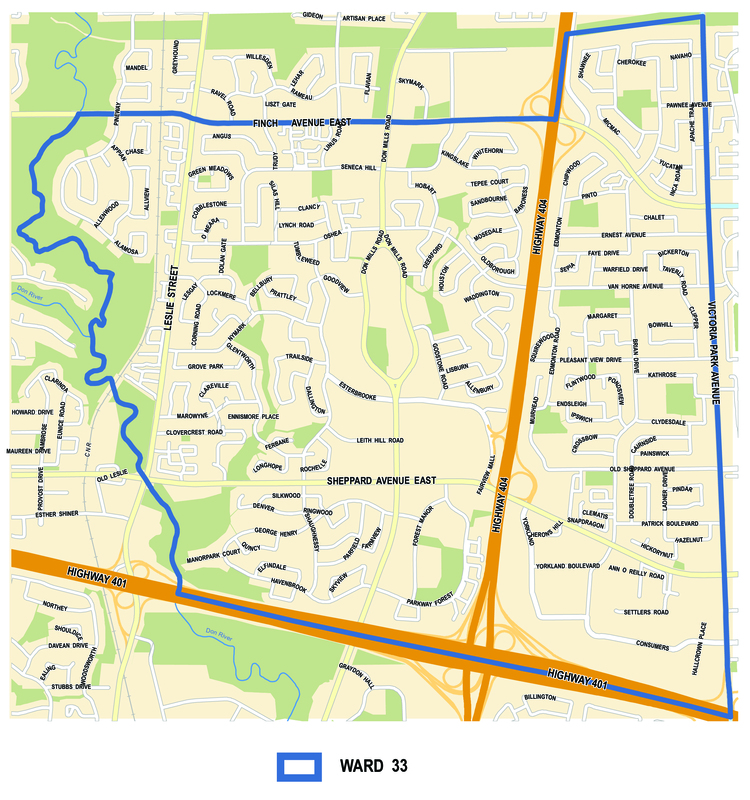 Anyone from the community could propose and discuss ideas, and anyone 14 years or older who lived in Rustic, Oakridge or Ward 33 could vote for up to three projects on the ballot. 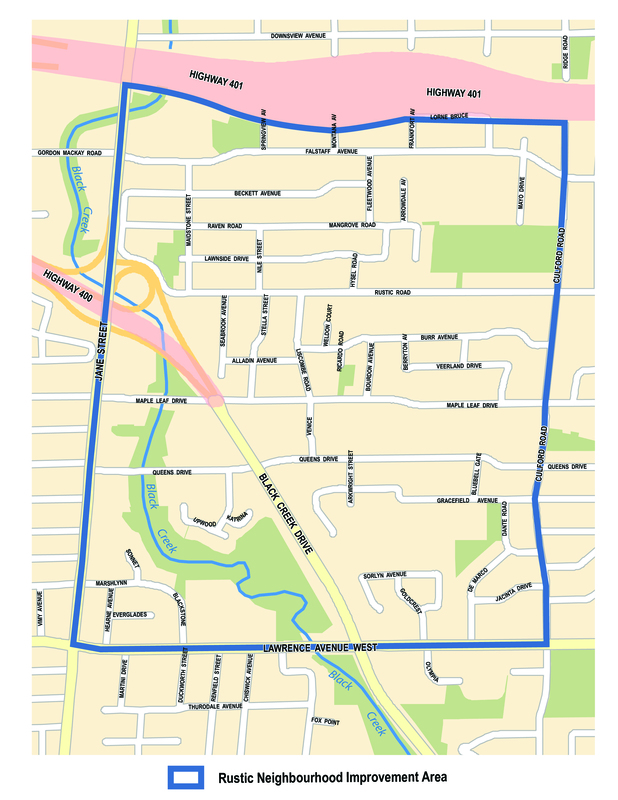 City Council pre-approved up to $150,000 for each pilot area in 2015, and $250,000 each year for each area in 2016 and 2017. 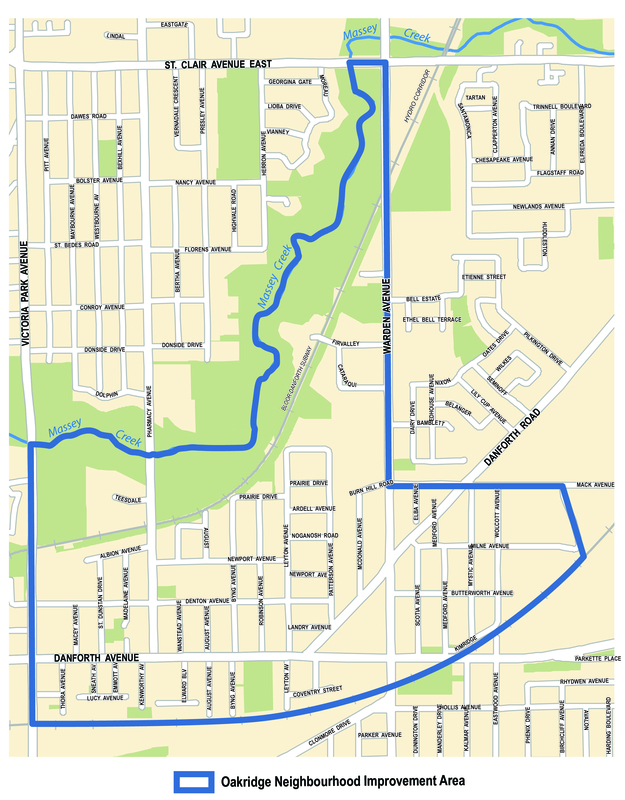 Over this three-year pilot project, almost 1,700 residents cast votes and selected 37 projects worth $1,870,000 in total. 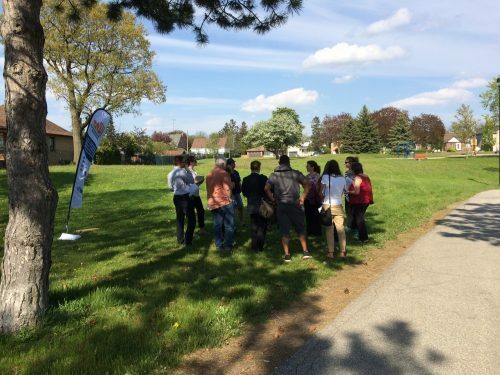 See the results and implementation progress and photos of resident-selected projects funded through the PB Toronto Pilot Project. Participant Feedback and Project Ideas – data from participant surveys and a list of community improvement ideas suggested by residents during the PB pilot are available in our Open Data Catalogue. Preliminary PB Pilot Evaluation Report (November 2018) The City will undertake a full-cost assessment to better understand budget and staffing resource implications for any future PB processes. Staff will report to City Council through the 2019 budget process on the PB pilot evaluation including resource assessments. Sign up to receive agendas and reports from City Council and its Committees by email. December 2015 report and Environics evaluation report evaluating the first year of the Pilot and recommending a two-year extension and budget increase. The City collected ideas in different ways, including online. Local meetings brought neighbours together to hear and discuss ideas with each other and City staff. 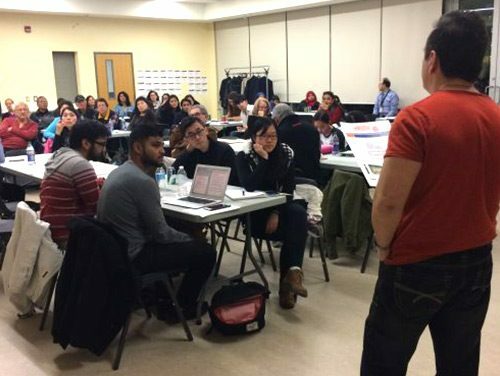 City staff reviewed all ideas for eligibility, then invited residents back to “shortlist meetings” to discuss and choose which ideas made their local ballot for voting. Residents were invited to champion their favourite ideas to appear on the local ballot for voting. Voting locations in community centres, libraries and other busy places attracted participation. Site meetings helped residents and City plan out exactly how the winning projects could be designed. Local impact! 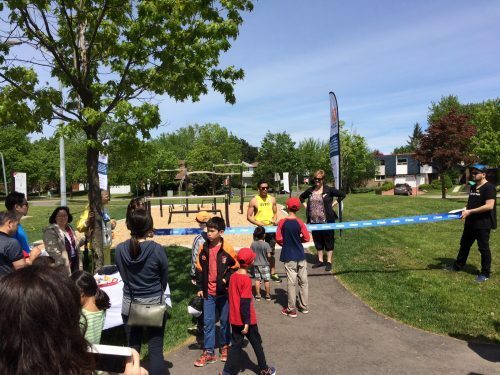 Residents gather to celebrate the opening of a winning PB project – a new outdoor fitness park.